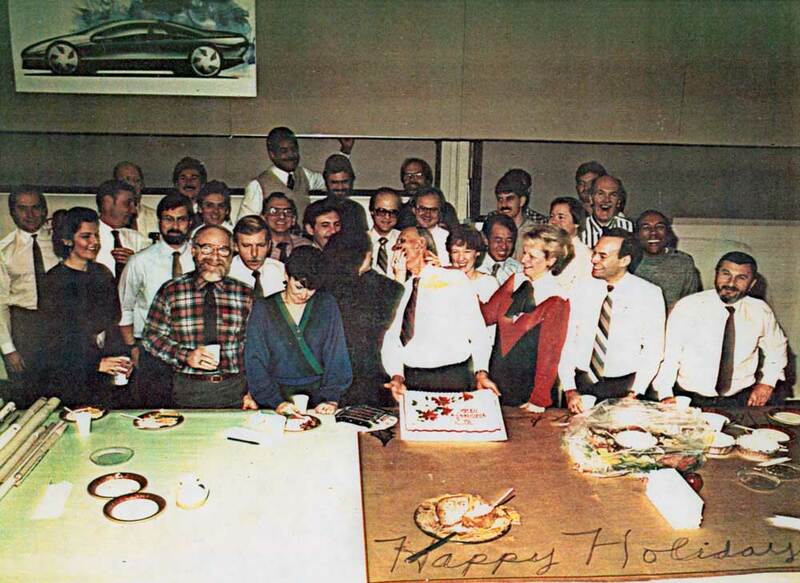 These group photos of Buick, Cadillac, and Oldsmobile studios are from my files except as noted. I can identify may of the people in the photos, but I can’t remember all of the names. If you know more names, please email me. I do have very fond memories of many of the talented people I had the privilege of meeting and working with at GM. A larger version of many of the photos are included in the gallery at the end of the post. Thanks to George Camp and Charlie Stewart with help identifying people in the photos. Cadillac Studio—three photos of working on the Bustle Back Seville added on 9/20. From George Camp. Left to right: Don Hronek, Pete Maier, Bob Schmidt, George Camp, and Bob Ryland (back to camera). 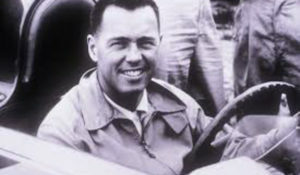 Left to right: Willis Calvin, Al Swenson, and George Camp. 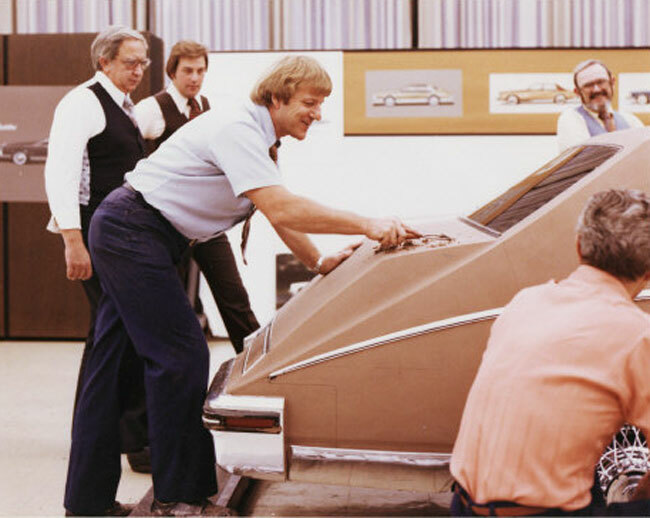 Cadillac Studio, 1976. Photo was published in a German car magazine. Pictured are (the names I can remember, left to right) Pete Han, Mike Tozer, Bob Ryland, Chester Politowicz, ?, Wayne Kady (front), Jonathan Rice (behind Wayne), Bob Schmidt, Pete Maier, Willis Calvin, David Jones, Mike Graye, Don Johnson, and myself on the right. I have to be honest—I was less than happy being transferred into Cadillac Studio in my third year of being at GM. Raised in California ten miles from the Riverside Raceway helped to mold my car interests, and Cadillacs weren’t sports cars in those days. In protest I bought a brand new black 1976 BMW 2002. Not a great career builder. Thanks to Bruce Brooks for helping identify a few studio members. 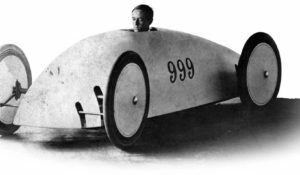 Oldsmobile One Studio. Taken before 1980. This scene was to commemorate Tom Semple’s taking his family on a bus trip vacation to the west coast. Pictured left to right, standing, are Gerry Hinds, Bob Spalding, Larry Grotz, Tom Wissman, John Manoogian, Mike Crosby, Doug Beyerlein, Rod Weekly, Nancy Barnes, Norm Raab, Tom Semple (holding ticket stubs). In the front row is Nello Tacconelli, Tom Lutzo, Charlie Stewart, Brad Lloyd, Charlie Hieder, and Mark Casmer. 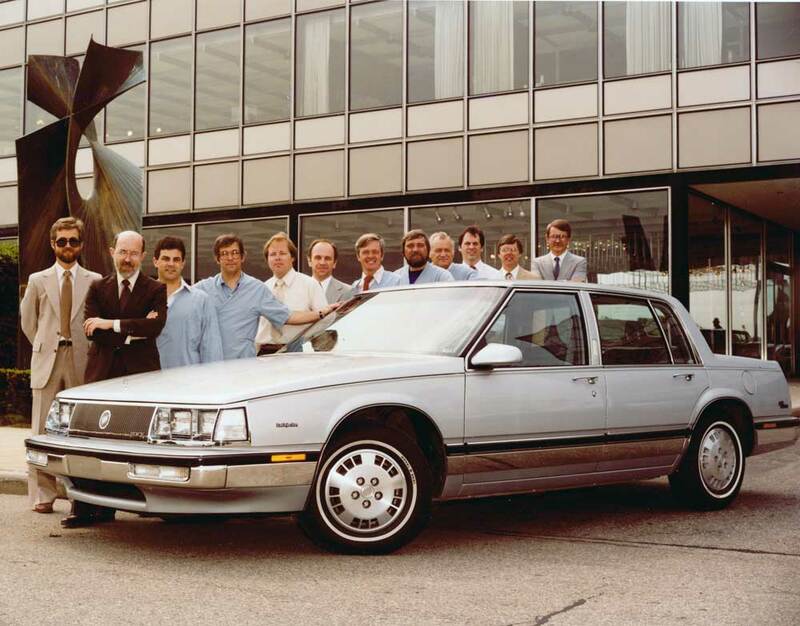 Buick Studio in 1984, taken in front of Design Staff. Pictured left to right are myself, Bill Porter, Mark Richards, Dave Sheloski, George Prentice, Tom Carlson, Ted Klein, Tom Reiss, Ivan Koop, Roger Welton, Jack Orava, and Ted Schroeder. 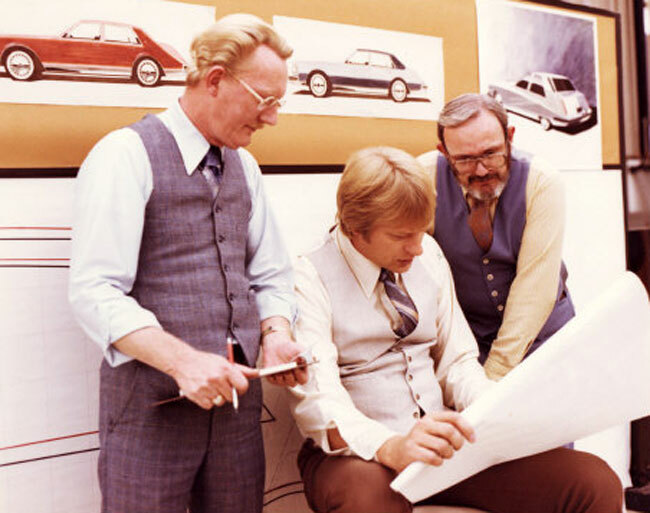 Buick Studio, early ’80s. Taken in front of a W-sedan clay model. 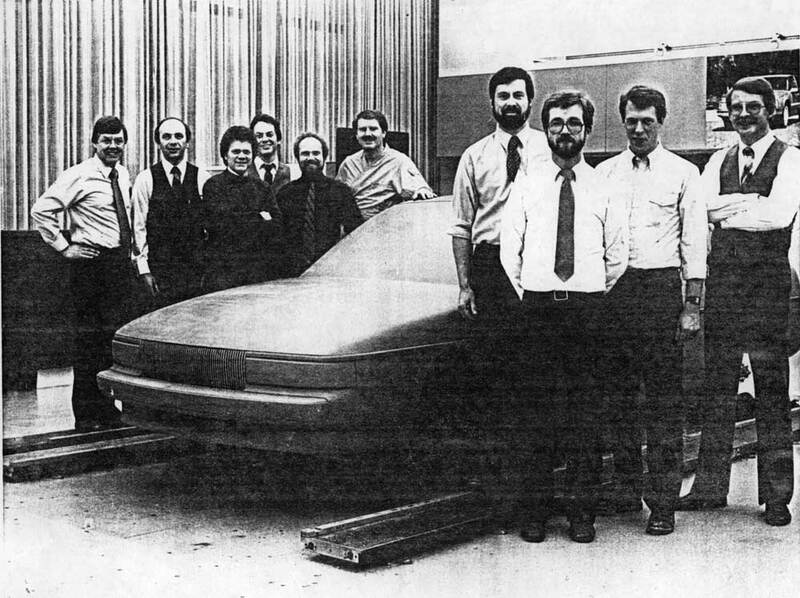 Pictured left to right behind the model are Jack Orava, Tom Carlson, Steve Jordan, Roger Welton, Rick Drumsta, and Bruce Brooks. In front of the model, left to right are John Bloyer, myself, Jim Paulin, and Ted Schroeder. Thanks to Bruce Brooks for help identifying some of the studio members. An Eldorado proposal. Pictured are Mark Casmer, John Gamutza, Tom Peloquin, Stan Ciemerych, Doug Tylenda, and myself on the right. Thanks to Stan Ciemerych for the photo caption corrections. Joe the sweeper’s retirement studio lunch. Recognized in the shot (roughly left to right) are Bob Cordero, Steve pasteiner, John Bloyer, Mark Kidd, Mike Filan, Andrew Link, Mario Angelini, Rick Zabor, Ed Krantz, Pete Han, Tom Peloquin, Carol Perelli, George Prentice, Dennis Wright, Dave Rand, Jim Perpina, and George Kozak. Taken in Buick Two Studio. This shot is of Oldsmobile One studio, taken in 1986. We’re on a lunch “cruise” on the Detroit river. Probably the smiles are from the fact that nobody’s photos are on display at the Post Office in the background. This was the craziest studio I was ever in. 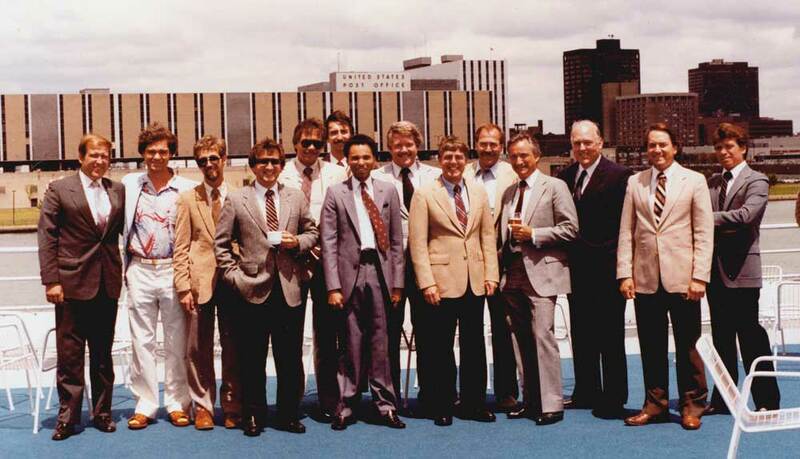 Pictured left to rightare Dennis Burke, Mark Casmer, myself, John Perkins, ?, David Kochanski, Orlo Reed, Dennis Hill, Jack Orava, Doug Beyerlein, Nello Tacconelli, Rod Weekly, Wally Radge, and Tom Wissman. Thanks to Bruce Brooks for help identifying some of the studio members. 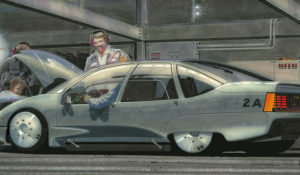 Can you remember an English designer, Oliver Winterbottom working in the Oldsmobile studio in the late 80’s early 90’s? 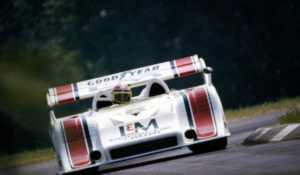 I believe he came to work for GM via Lotus in England. P.S. I find your website very interesting and informative. I have a GM Design Staff Directory from February, 1988 and his name isn’t listed. I left GM in April of 1988, so I probably missed him. I found your website by googling my dad’s name, Nello Tacconelli. I thoroughly enjoy the photos, cartoons, and memories you’ve shared on this site. 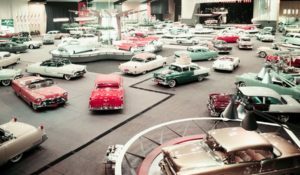 Any chance you have more Oldsmobile Studio photos? I would love to see them and share them with my family. Your site is a great tribute to the way things used to be! Sandy, there are a few more Olds studio photos published on several posts on Dean’s Garage, but none that I can think of that included your dad. I’ve posted just about all of the studio photos I have. I know there are a lot of photos sitting around in boxes that would be very interesting to a lot of designers and are crying to be published. [Anyone who has anything that might be of interest to readers of Dean’s Garage please email them to me. Ideally I’d like 1000 pixels across (or larger) at 72 dpi, but I’ll take anything I can get. Include captions and stories if possible.] I’m pleased you are enjoying Dean’s Garage. And I enjoyed knowing your dad. I’m not sure if anyone has responded to help identify any of the people with the ? on the photo lists. 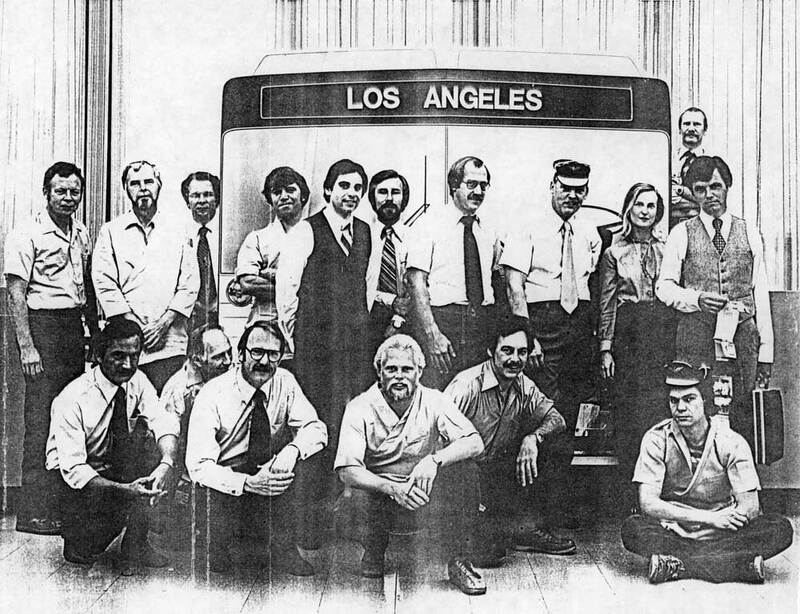 In the Cadillac Studio 1976 photo Mike Graye is to your right with the black shirt and David Jones is between Calvin and Graye with the blue Shirt. In the Olds One Studio 1986 photo David Kochanski is the tall one in the back and Dennis Hill is between Reed and Orava. Standing next to me in the Buick Studio early 80’s is Rick Drumsta. In the Joe the sweeper photo front row in the blue dress is Sue ( ? maiden name) that married Steve Pasteiner. I hope this helps. I attended Art Center in 1965/66-ish and knew Marvin Fisher who, supposedly, went on to work in the Cadillac interior design department. Do you know Marvin, did you, and are there any photos of him that you’re aware of…perhaps in a group shot like the ones you have posted? Marvin was the only guy at Art Center I remember along with Clyde Foles (who went to Chrysler), Lars Andelin, Al Mar, and a couple of others. I went into commercial television (art director) and ended up seeing my work on national TV. Great fun. Wow, what great photos! 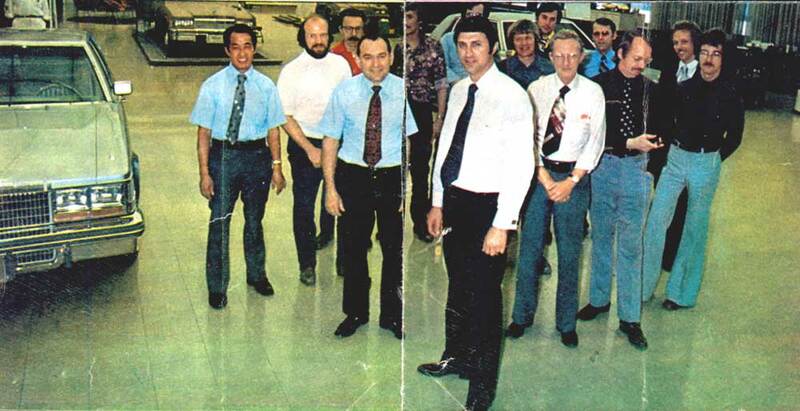 I believe that is Glenn Durmisevich next to Mark Casmer, in the Eldorado photo. The Oldsmobile photo was a great story. You’re correct in that it was done to NEVER let Tom Semple forget that he was actually taking his whole family on a BUS trip cross country, and was actually foolosh enough to tell us. I mocked up the “bus” frontend from two 4×8 pieces of foamcore, did the graphics, and attached it to the front of Tom’s desk. Needless to say we embaressed the heck out of him. Charlie Stewart recorded actual bus sounds and we were playing that over the loud speaker. We also put pictures of his children in a photo of a bus with the appropriate comments. Rod Weekley was wearing a bus driver hat, and we also mocked up some “tickets” for effect. All in all…a fun time was had by the whole studio. Worked at Design in the 70s. I am looking to locate Carol Perilli; has anyone kept in contact with her? I have seen a picture of her from 1991. Also looking for Jan Tribbey and Barbara Munger. 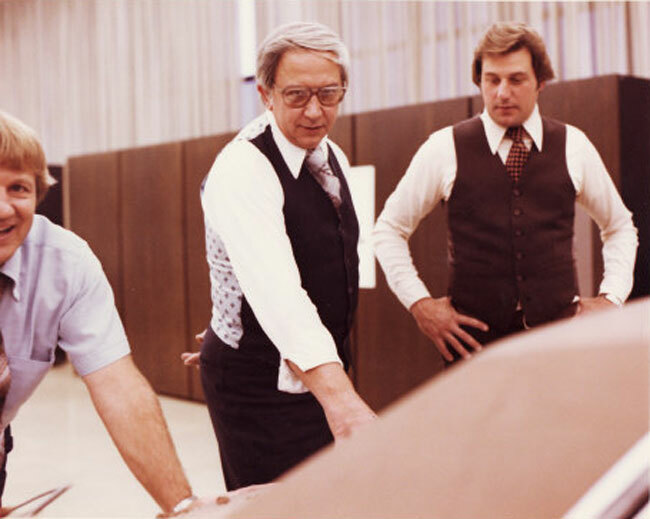 To address one of the comments: I worked with Marv Fisher for a short time in the early 70s. I understand that he had just married a divorcee with a young child and designed interiors. I was in an Advanced Studio and at that time Marv was travelling between different studios. 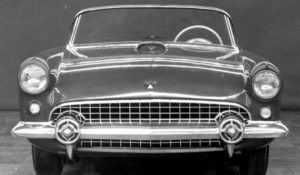 If this is the same Nello Tacconelli, he had a beautiful Ford custom on display in about 1955-56 at the Ford Rotunda. All black, super straight bodywork. Click on cover for details. How deep is the rabbit hole?